Nether Craig Holiday Park (Alyth ) - Nether Craig Holiday Park is peacefully situated amidst the breathtaking scenery and rolling hills of the stunning Perthshire Highlands.Perthshire is a hugely popular area of Scotland to visit and the attractive Nether Craig park offers a perfect base from which to explore the surrounding area. 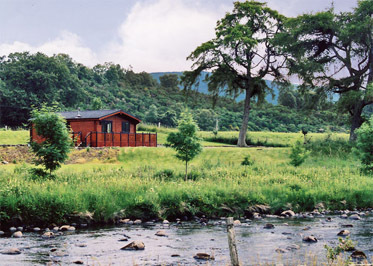 Tummel Valley (Pitlochry ) - Tummel Valley sits in a truly idyllic setting, surrounded by breathtaking scenery on the banks of the River Tummel.The park is an eternal favourite for family holidays in Scotland, and with all the wide range of leisure facilities available on the park you can see why. 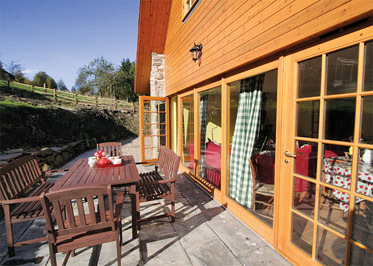 The Barn (Lochearnhead ) - With its glass gable overlooking stunning mountain scenery and its authentic exterior and open plan living area The Barn cleverly blends the traditional and contemporary to create an ideal holiday retreat situated on the road to KIllin within a mile of Lochearnhead village. 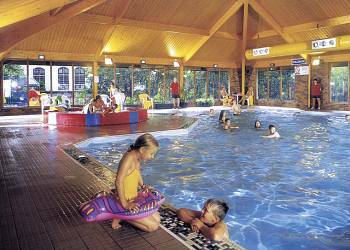 Famously the base for water sports on Loch Earn the village offers a variety of shops inns and eating places. Locally visitors can enjoy glorious hill walking fishing and golf and there is free boat mooring available less than a mile away. Nearby Killin provides the setting for the dramatic Falls of Dochart and good shopping and the city of Perth is only 35 miles. 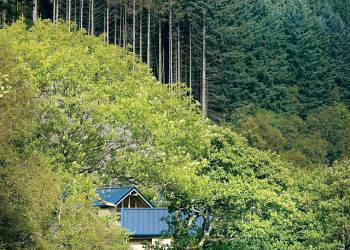 Larch Cottage (Glenisla ) - Perched above the sparkling waters of the River Isla in beautiful Glenisla this recently built lodge makes a very comfortable base from which to explore the lovely surrounding area. Enjoying a peaceful setting with no near neighbours it lies only 700 yards from a pub serving food and 2 miles from an adventure centre offering outdoor pursuits and cycle hire. Excellent hill walking cycling and riding can be enjoyed locally as well as loch fishing (by arrangement) whilst Alyth (11 miles) has shops and three golf courses. 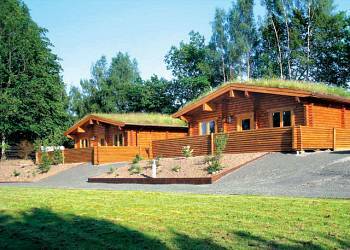 Beech Hedge (Cargill ) - Surrounded by picturesque countryside in the heart of rural Perthshire just 10 miles from the fair city of Perth this beautifully located park sits near the rivers Tay and Isla and boasts views of the Grampian Mountains. 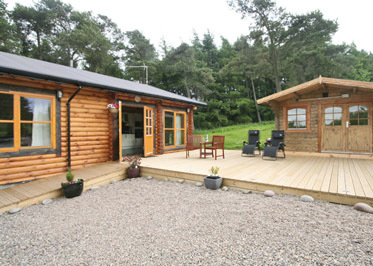 Duncrievie Log Cabins (Glenfarg ) - A rural haven promising a memorable relaxing holiday and elevated unspoiled views for couples only is the delightful location for these impressive log cabins. 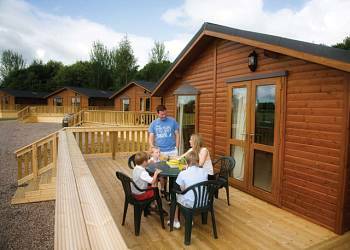 River Edge Lodges (Perth ) - River Edge offers you all the benefits of a family owned and run park combined with a wonderful setting beside tranquil River Earn. 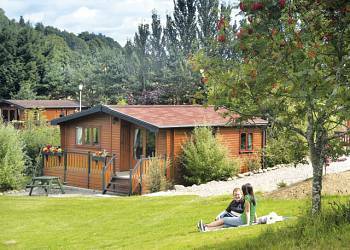 Braidhaugh Park (Crieff ) - Situated on the banks of the River Earn, with beautiful mountain views, Braidhaugh Park is only a 10 minute walk from Crieff town centre, where you will find a selection of traditional shops, artists' galleries and restaurants. 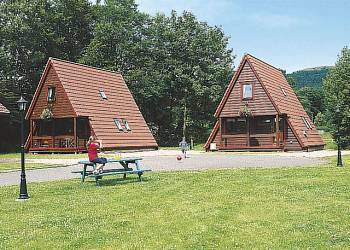 Strathyre Forest (Callander ) - Located among the scenic lochs and mountains of the Trossachs this beautiful setting is overlooked by the majestic Ben Ledi which provides a stunning backdrop to the lodges which are all nestled between the heart of the forest and the banks of Loch Lubnaig.